﻿A central challenge in diagnosing and treating prostate cancer is distinguishing fast from slow, aggressive from indolent. Consider the experience of Gerald Alexander. A former Air Force surgical service specialist who completed several tours of duty in Iraq and Afghanistan, Alexander was preparing to retire from the military and make a transition to teaching high school in Warner Robins, Georgia. As part of a routine pre-retirement physical exam, his doctors performed a PSA (prostate specific antigen) test, and the PSA level was high. A biopsy in early 2013 revealed the clear presence of cancerous cells. The Gleason score (see glossary), a measure of how aggressive tumor biopsy samples look to a pathologist, was 9 out of 10. Alexander was having frequent back pain, which he thought was from arthritis. Based on his back pain and some suggestive bone scans, a radiation oncologist in Warner Robins suspected that the cancer had already metastasized. He was told to "get his affairs in order." However, another of his local doctors didn't agree and to resolve the uncertainty, he came to Winship Cancer Institute. He met with a team of Winship doctors and they determined that the cancer, while appearing aggressive, was probably localized. Together they developed a coordinated treatment plan. One of the big decisions some men face at this point, surgery or radiation, was not a big hurdle for him. "My background as a surgical tech made me not fear the surgery," he says. "Some men I met decided to have seeds, because they were worried about side effects of surgery. I had the attitude: okay, let's fix it. What do you recommend?" First, his prostate gland was removed with a laparoscopic procedure. Positive margins – meaning that some cancer cells may have been left behind – indicated that he should plan for radiation and a limited course of treatment with leuprolide, a testosterone-lowering drug. The radiation treatments were grueling, but in the spring of 2015, Alexander was back at work, instructing his junior ROTC students and planning for summer camp. Alexander's journey with prostate cancer has been an example of fast. Most men's initial encounters with prostate cancer don't play out as quickly. Most of the time when an elevated PSA level spurs a man to have a biopsy, no cancer is detected. Health care experts have criticized the PSA test for driving many men to seek definitive treatment for cancers that might not pose a danger, even years down the line. And on the other side of the coin, an initial biopsy sometimes doesn't detect a cancer whose presence is suggested by rectal examination. This uncertainty leaves men like David McGahee of Atlanta stumped. McGahee had two elevated PSA readings and a urologist he had been consulting assumed he would proceed to a biopsy. He wasn't so sure. Having recently started a new relationship at 69, he was concerned about the risks, however small, of infection or nerve damage that come with a biopsy. He started looking for other testing options. 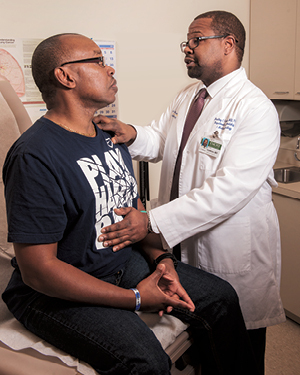 Faced with an aggressive prostate cancer, Gerald Alexander embarked on a decisive and effective treatment plan with medical oncologist Bradley Carthon. "I've been trying to learn all about sensitivity and specificity," he says. "I've been doing my homework, and it's still confusing as hell." 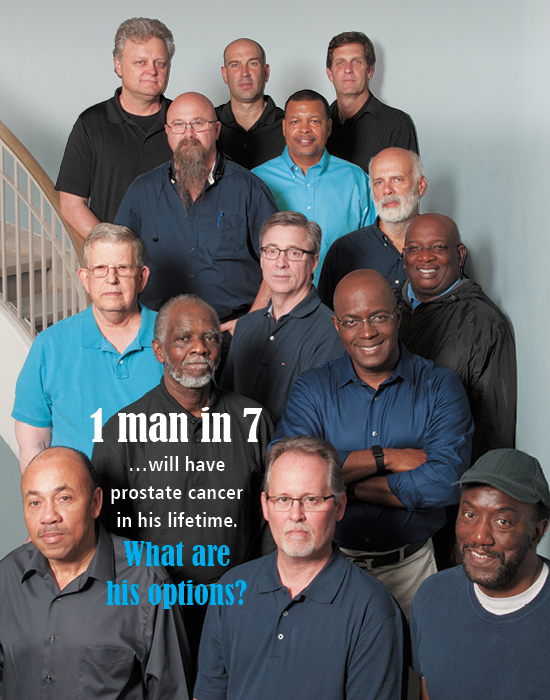 Winship is at the forefront of research aimed at helping men at all stages of their journeys with prostate cancer. Men like McGahee, who may or may not be in the early stages, will want to know more about whether a biopsy or prompt treatment is really necessary. Some may need basic information and help making a decision about different forms of treatment and their possible side effects such as impotence or incontinence (see sidebar). Some men will have the option of active surveillance, sometimes called watchful waiting, instead of immediate definitive treatment such as radiation or surgery. Those at more advanced stages could benefit from information about a cancer's recurrence or spread, and effective treatments that could stop a recurrent cancer's growth for years. 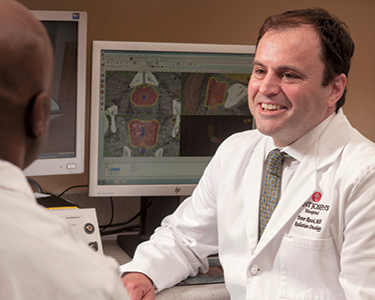 Peter J. Rossi, a Winship radiation oncologist who treats men with prostate cancer at Emory Saint Joseph's Hospital, says he helps patients evaluate their fears and quality of life issues, but the ultimate decision is up to each individual man. "You can help by sorting through their values," Rossi says. "Are they afraid of disability in the future, what's the effect on their lifestyle today? Do they want to have kids? We talk about all the risks, we summarize all the worst-case and best-case scenarios, and leave it to them to make a decision." This article will tell you about 1) new biomarkers for detecting and diagnosing prostate cancer, 2) an imaging probe for detecting recurrent prostate cancer, and 3) newer treatments, including a therapeutic vaccine approach. ﻿Diagnosing: is it an aggressive cancer? At Winship, urologists and cancer biologists are part of a nationwide effort to develop new blood and urine tests that could substantially improve detection and diagnosis of prostate cancer. "Overall, the effect of PSA testing over the last few decades has been to drive down mortality from prostate cancer," says Martin G. Sanda, director of Winship's prostate cancer program and chairman of the Department of Urology at the Emory University School of Medicine. "The cost is that for every cancer detected where we save a man's life, we are detecting another, or two, that may not need to be treated." Radiation oncologist Peter Rossi helps patients weigh the pros and cons of different treatment plans but says the ultimate decision is up to them. A third to half of men who have a biopsy based on the PSA blood test are found to have prostate cancer, but only one in five of them has a cancer that is sufficiently aggressive to warrant treatment (those with a Gleason score of 7 or higher). "Only a minority of cancers with a Gleason score of 6 will ever require treatment and that treatment can be deferred until the cancer becomes more aggressive," Sanda says. Sanda and colleagues at other medical centers in the National Cancer Institute's (NCI) Early Detection Research Network have been examining whether two RNA markers from urine could predict whether a subsequent biopsy will display a Gleason score of 7 or higher. A test for one of these markers, PCA3, a gene that is hyperactivated in prostate cancer, is already FDA-approved for men who are considering a repeat biopsy after an initial negative result. The other marker, called TMRPSS2-ERG or T2-ERG for short, is a DNA alteration that is present in about half of all prostate cancers. In a study led by Sanda, a test looking for both PCA3 and T2-ERG was validated with more than 500 patients and confirmed in a separate group of 500 more across the country. Sanda says those two markers could reduce by one half the number of unnecessary biopsies that are done based on abnormal PSA results. 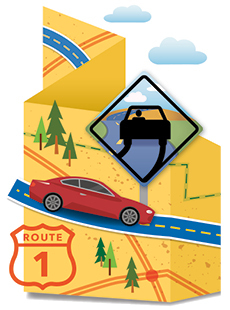 While that's better than PSA alone, "there's still room for improvement," Sanda says. Improvement could come from research being done by Carlos Moreno, John Petros, Kathryn Pellegrini and colleagues at Winship. They began with samples of tissue obtained after prostatectomy from 100 men treated at three medical centers, including the Atlanta Veterans Affairs Medical Center, and followed the patients' progress. In a 2014 Cancer Research paper, Moreno's team was able to define a 24-gene signature for the cancers that are most likely to recur. This signature, which is more accurate than a commercially available panel at predicting recurrence, could be useful in guiding doctors in selecting treatment and imaging options, he says. Working back to earlier stages of disease, the researchers are now looking for the same gene signature in biopsy and urine samples. In a pilot study with urine samples, the pattern of RNA markers could separate aggressive from slow-moving cancers, as indicated by later biopsy. The team is now planning larger studies. "The signature could be useful at several points," Moreno says. "Eventually, we want to be able to provide prognostic information before surgery, or even tell a patient before a biopsy whether he really needs one." ﻿Recurrent cancer: where is it? If after surgery or radiation, a prostate cancer seems to come back, based on PSA testing, a big question a patient and his doctors may have is: where is it? 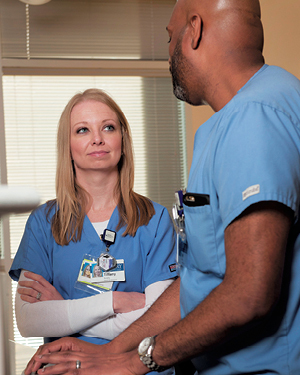 Tiffany Dunphy and Van Jackson, radiation therapists at Winship at Emory Saint Joseph's Hospital, work with prostate cancer patients undergoing radiation treatment. "It's a lot easier to plan the attack, if we know where the enemy is," says Winship urologist Peter Nieh. "If a cancer is still localized, we may want to try salvage therapy, either radiation or surgery, before advancing to something systemic." Depending on how primary treatment took place, a prostate cancer often comes back in the prostate bed (where the prostate gland was), and may appear in nearby lymph nodes. In advanced cases, the cancer may spread to the bones. Emory radiologist and Winship member David Schuster and radiochemist and Winship member Mark Goodman have been developing a PET (positron emission tomography) imaging probe that shows considerable potential for detecting recurrent prostate cancer. Usually in PET imaging, radioactive glucose is injected into the body, and since cancer cells have a sweet tooth, they take up a lot of the radioactive tracer. But the tracer also appears in the urine, complicating prostate cancer detection efforts since the prostate is so close to the bladder. In contrast, the probe 18F-FACBC, based on amino acids, is taken up by prostate cancer cells but doesn't appear as much in urine. FACBC has its limitations. It also may be taken up in benign prostate hyperplasia or inflammation. This means it probably won't be as useful by itself for evaluating primary prostate cancers, but it has a lengthening track record in recurrent cancer. In a 2011 publication, Schuster and his colleagues compared FACBC to ProstaScint, a commercially available probe. FACBC showed superior sensitivity and specificity in detecting tumors outside the prostate bed. Schuster is now collaborating with Winship radiation oncologist Ashesh Jani to study FACBC's benefits in designing radiation treatments for patients with recurrent prostate cancer after prostatectomy. In Jani's study, which lasts until 2017, one group of patients is examined using FACBC, while another gets conventional imaging. The question is whether using information gleaned from FACBC to direct the radiation results in a longer lasting remission than with the control group. Marble countertop salesman Paul Reckamp, who was a participant in Jani's study, keeps a file on his phone noting his PSA levels for the last several years. Reckamp had a radical prostatectomy in July 2010 at Emory Saint Joseph's Hospital, but the cancer appeared to come back a year and a half later. FACBC imaging confirmed that the cancer had appeared in nearby lymph nodes but not elsewhere, and doctors could then plan radiation treatment that drove his PSA levels back down again. "I couldn't have been more pleased with the study," he says. "It told me and the doctors what we wanted to know." If a prostate cancer recurs after definitive treatment, a standard approach is to provide drugs such as leuprolide. The drugs trick the testicles, the main source of testosterone, into halting testosterone production. This aims to help curb the growth of prostate cancer cells, which generally depend on testosterone to grow. However, most prostate cancers can eventually figure out a way around this obstacle. In describing this phenomenon, doctors use the term "castration resistance," even though hormone therapy is now more common than surgical removal of the testicles. 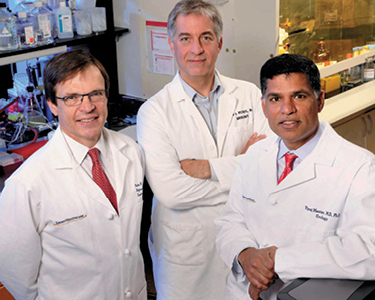 Martin Sanda, John Petros and Viraj Master are three of the physicians on Winship's prostate cancer team. "The basic problem is that other cells start making testosterone, such as fat cells, adrenal cells, or the cancer cells themselves," says Bradley Carthon, a Winship medical oncologist specializing in genitourinary cancers. "This leads to castration resistance." prostate cancer. This combination could have an even greater effect on a man's disease than treatment with single agents alone, Carthon says. With patients who do have aggressive, metastatic disease, when to give anti-testosterone agents, relative to chemotherapy, is an active area of research. Another study, which Carthon calls "practice altering," has shown that such patients can survive more than 17 months longer when testosterone deprivation and chemo treatments are provided together, instead of waiting to give chemotherapy after castration resistance develops. "This change in delivery has shown that treatment sequencing is vitally important," he says. Drugs that wake up the patient's dormant immune system have been transforming treatments for other cancers, such as lung and skin cancers, but they haven't had the same success with prostate cancer so far. Winship researcher Haydn Kissick is planning to change that. He is devising a form of immunotherapy that would be personalized for each man's prostate cancer. The cancer vaccine Provenge, approved by the FDA in 2010, is an example of how this approach might work. With Provenge, patients' immune cells are removed, stimulated in the presence of a protein found on prostate cancer cells called PAP, and then returned to the body. A clinical trial showed an average survival benefit from Provenge of four months, but the treatment's expense and efficacy continue to be debated. Kissick says Provenge is a good "proof of principle," but there may be better targets than PAP for the immune system to hunt. Working with Sanda and Emory Vaccine Center director Rafi Ahmed, Kissick is sequencing the genomes from prostate cancers, and compiling for each one a list of "epitopes": potential handles that the immune system could grab onto. Kissick envisions using an on-site processing facility like Emory's Personalized Immunotherapy Center to craft an individualized vaccine. "We think it could be possible to tailor an immunotherapy to the cancer and the capabilities of patients' immune systems," Kissick says. For his part, Sanda thinks that research he and Kissick published in 2013 could be developed into an "off the shelf" prostate cancer immunotherapy. They identified an epitope corresponding to the T2-ERG mutation, present in the majority of prostate cancers, and found that immune cells that recognize that epitope are present in prostate cancer patients, although inactive. "This may eventually become the groundwork for not just a therapeutic vaccine, but one that could be preventive," Sanda says. No matter where a man is on the path of dealing with prostate cancer, Winship research aims to expand the options at every stage. Gleason score: A system of grading prostate cancer tissue based on how it looks under a microscope, ranging from 2 to 10. A low Gleason score means the cancer tissue is less likely to spread; a high Gleason score means the tumor is more likely to spread. 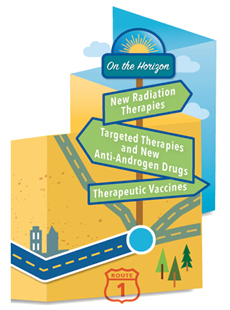 Hormone refractory cancer: Cancer that is no longer helped by any form of hormone therapy. PSA - prostate specific antigen: PSA is a protein produced by cells of the prostate gland. The PSA test measures the level of PSA in a man’s blood. Prostatectomy: Surgery for prostate cancer. Salvage therapy: Treatment that is given after the cancer has not responded to other treatments. We have been studying health literacy for over a decade and our research has helped identify a critical need for improving patients' understanding of the terminology doctors use when discussing prostate cancer treatment. If patients don’t understand these terms, it severely limits their ability to have meaningful discussions about treatment options. Perhaps the most troubling aspect of this is that it can lead to "decisional regret." Our initial study showed that patient comprehension is not good at all. 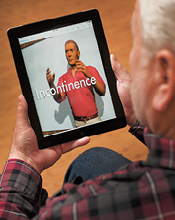 Only 15 percent of the patients understood the meaning of "incontinence (urine leakage)"; less than a third understood "urinary function" and "bowel habits"; fewer than 50 percent understood the word "impotence (inability to achieve erection)." Other studies suggest the problem is a widespread phenomenon. As we defined the scope of the problem we were seeing, we also felt compelled to seek solutions to it. Our next step was to develop a video-based tool that uses narrated animations to explain 26 terms that doctors and medical staff routinely use in talking with prostate cancer patients. Our second study showed that after viewing the video, patients' understanding of key terms significantly improved. We believe video tools can help patients understand critical prostate health terms in a meaningful way. The ultimate goal is to give patients a vocabulary toolkit to enable them to make shared and informed decisions about their treatment options. Our next goal is to improve the tool further, and study its use at different centers. Hugh Smith was diagnosed with prostate cancer at the age of 51. Knowing that members of his family had died from prostate cancer prompted Smith to get checked. When tests showed the presence of cancer, he looked for an experienced prostate specialist who could provide the most advanced treatment available. Winship's Dr. Martin Sanda performed a prostatectomy via robotic surgery at Emory Saint Joseph's Hospital in 2013. Since then, Smith says he's had no side effects and no recurrent cancer. He thanks God and the expertise of his cancer team for the good results. Now he wants to encourage other men to take charge of their own health. "Some men would rather not know about their risk of prostate cancer, but I say go in with your eyes wide open."